Upon the backdrop of Arsene Wenger’s impending departure, Arsenal’s trip to Old Trafford this Sunday is an important reminder of the dizzying heights the north Londoners once reached and the level of ambition the club must look to re-conquer as they enter a new era. Transforming from a club just about surviving in the shadow of the best in the Premier League, to one that can not only compete with but even overcome them on their own patch to seal a place in history. 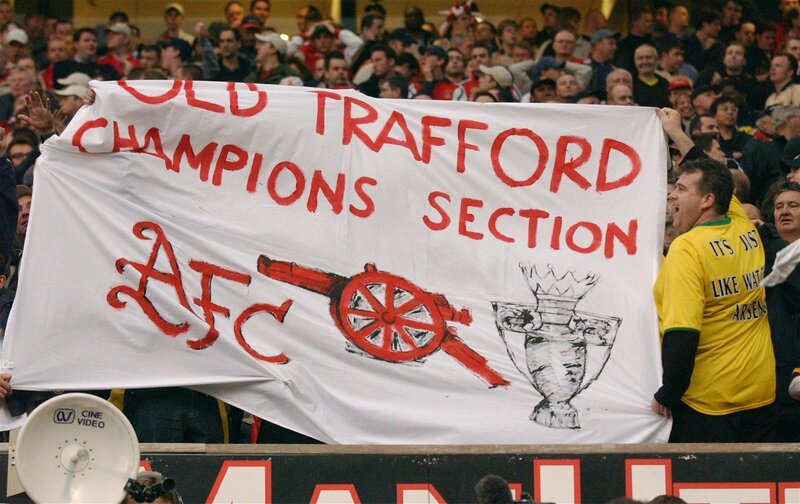 Aside from the incredible Invincibles campaign, Old Trafford remains the setting of Wenger’s greatest feat as Arsenal boss, masterminding a victory at the home of the Gunners’ keenest competitors in the Premier League that season and the club that had become amongst their fiercest rivals to win the 2001/02 title. Manchester United’s three-goal comeback at the Etihad Stadium to deny Manchester City lifting the title in early April this year, which truly confounded the tips at OpenOdds, highlighted how desperate clubs will always be to not directly concede England’s footballing crown to their most bitter of foes. That desperation only doubles if not quadruples when hosting the champions in waiting; returning from the proverbial Mecca of your enemy with blood-soaked shirts and trophy aloft is the kind of folklore that becomes immortalised. Those on the receiving end will never be allowed to forget it – it’s etched in history, forever indisputable. Wenger’s done it twice during his 22-year reign – the Invincibles secured their title with a 2-2 draw at White Hart Lane. But in the context of the Frenchman stepping down and Arsenal’s current complexion compared to a defiant performance at Old Trafford 16 years ago, the 1-0 away win over United feels particularly significant, not least because it was actually a largely underwhelming game that had to be shrewdly negotiated through. Indeed, Wenger’s Arsenal will always be associated with gorgeous football, potency in attack and technically gifted players. But that was only one dimension of Wenger’s philosophy back in 2002; there was a ruggedness, a bullishness, an intensity and a physicality about them as well. That day, the heart of Arsenal’s defence consisted of Sol Campbell and Martin Keown – Tony Adams being absent through injury – while the engine room had Patrick Vieira and Ray Parlour at its heart. Football, in general, has softened up since then, but the contrast with Arsenal’s current squad is particularly severe. The closest thing Arsenal now have to a midfield hardman is Mohamed Elneny or Granit Xhaka, and the closest thing they have to a warrior centre-half is Shkodran Mustafi. Without that robust, gritty and perhaps most importantly, savvy core, it’s unlikely Arsenal would have won the game at Old Trafford. During the early stages, United were on the front foot, pinning the visitors back into own half. But Arsenal coped as well with the pressure then as badly as they tend to now, and after surviving the onslaught reversed the tide of the match in the second half. 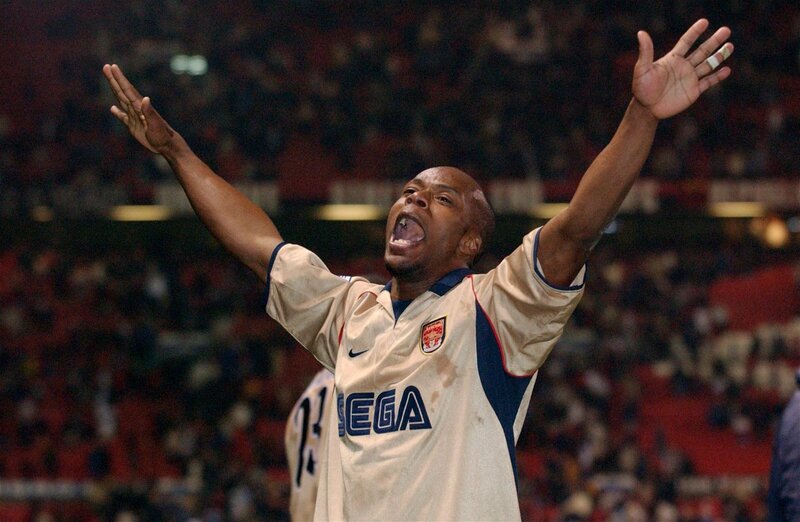 It began with a handful of half-chances for the Gunners, Sylvain Wiltord almost finding Edu with a cross and a Fabian Barthez clearance almost falling straight to the French forward, and ten minutes on from the interval, the deadlock was finally broken in the most un-Arsenal of fashions – Freddie Ljungberg nicked the ball off a lackadaisical Mikael Silvestre, Barthez parried the Swedish midfielder’s shot and Wiltord fired home a virtually unmissable rebound. There were no delicate one-twos, Mesut-Ozil-esque eye-of-the-needle through balls, rabonas or step-overs; Arsenal simply willed the ball into the net, just as they spent the remaining 35 minutes willing it out of their own as United staged another sustained advance. The Gunners held on to clinch the clean sheet, the win, the title and their place in history, humbling United in front of their own fans. And while there were eye-catching patterns of play in small doses, it was mainly done the hard way, through energy, commitment and resilience. The other key contrast between Arsenal then and now is how they perform on the road; from winning the title on the patch of bitter rivals that had lifted it the year previous, Arsenal have beaten reigning champions just once away from home since the start of the 2009/10 season. Back in 2001/02, Arsenal didn’t lose a single away game; this term, Arsenal have lost nine of their 16 away fixtures and are the only team in English football yet to win an away point in 2018. That 1-0 at Old Trafford was their ninth away clean sheet in the Premier League; this season, they’ve managed just two. When Arsenal return there this Sunday, there won’t be much on the line. Manchester United will finish in the top four, Arsenal will finish outside of it, Manchester United are focused on their FA Cup final, Arsenal are desperate to claim their spot in the Europa League equivalent. Aside from providing potentially the final chapter in Wenger’s heated rivalry with Jose Mourinho, there really isn’t all that much incentive for either team on Sunday. And yet, for the travelling Arsenal fans, it will be a timely reminder of how great their club once was, how invincible their manager once appeared. Arsenal are capable of returning to that point of imperiousness once again, when they’re winning titles at the home of their rivals, but they must recover a mindset that has somehow become skewed, twisted and morphed over the last 16 years. Fine football is all well and good but there must be a substance to it as well – that’s what Arsenal have somehow lost.